Of the four figures who organised the Bath and Bottle Party in 1928 and therefore, according to a host of commentators from Viola Tree to D.J.Taylor, constituted the inner-core of the Bright Young Set, Babe Plunket Greene has received the least attention. Brian Howard has long since passed into legend – in literature and in anecdote. 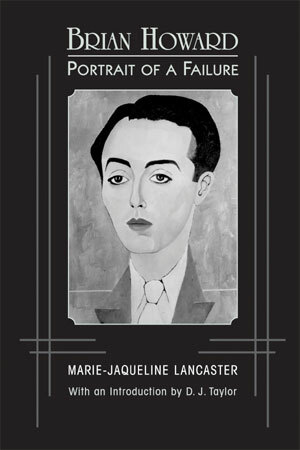 Jacqueline Lancaster’s still-fascinating biographical scrapbook “Portrait of a Failure” is as detailed a portrait as anyone could wish for. Apart from the many contemporary references, Hugh Wade’s friend Elizabeth Ponsonby recently became pretty well the central female character in Taylor’s “Bright Young People“, while Eddy Gathorne-Hardy has a smaller but significant space reserved for him in most chronicles of (and about) the times. “Babe” hasn’t fared quite as well. True, she doesn’t seem to have done much apart from giving and attending parties and getting involved in a series of short-lived marriages. But in that she was no different to several better known Bright Young Females (and not a few Males). The name, though wonderfully resonant, doesn’t help. She sometimes gets confused with Teresa “Baby” Jungman (see The Jungman Sisters) and/or her sister-in-law, Olivia Plunket Greene. Both of these women were unrequited loves of Evelyn Waugh, Olivia inspiring some of his best-known female characters ( Julia in Brideshead Revisited is partly based on her). I also think that a certain snobbery surrounding her background has had a lasting effect. 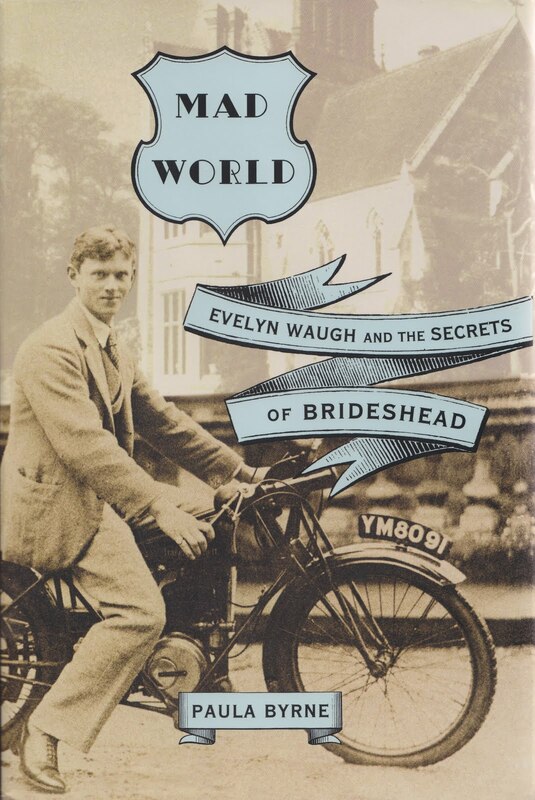 At the time, she was seen as not quite out of the top drawer.Inevitably, Evelyn Waugh is an early commentator on her supposed lack of social status. Waugh’s take is unsurprising. Whether a modern historian ( Julia Byrne in the generally excellent Mad World) should simply dismiss her as “the gold-digging step-daughter of a prominent bookie” is perhaps another matter. 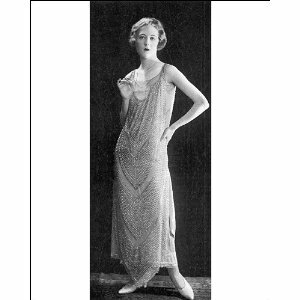 I’ve no idea whether she was a gold-digger or not and, anyway, I’m not sure the term carries much meaning in the context of the 1920s marriage market. That she was the step-daughter of a bookmaker is true, but that intended slight does not tell anything like the whole story. Her parents were Richard Murray McGusty, a member of a family of Dublin solicitors and himself a government agent in Canada, and Ernestine Marguerite, known as “Margot”. Margot was Scottish and her maiden name was Erskine. She was from a military family, her father was the second son of the Earl of Killie. Babe’s birth name was Enid Margot or Marguerite Enid. I think she was born in 1907, although some sources say 1905 – she is listed in the 1911 census as Enid, aged 3. The dates are important as in 1907 Richard sued for divorce, naming Arthur Bendir as co-respondent. The divorce was granted in 1908. Margot married Arthur Bendir, but not until 1921. Babe therefore grew up as a child of a divorced (and presumably somewhat disgraced) single mother. There must also be the possibility that Arthur was her actual father. Arthur Bendir is the “bookie”. He was in fact Chairman of Ladbrokes which he essentially founded in 1902. Evelyn Waugh writes in his diary of Babe’s “common father” and, indeed, he was of humble origin, having been born in Lambeth. By the 1920s he was immensely rich.He had a house at 43 Grosvenor Square and also owned Medmenham Abbey, a place of some historical notoriety. 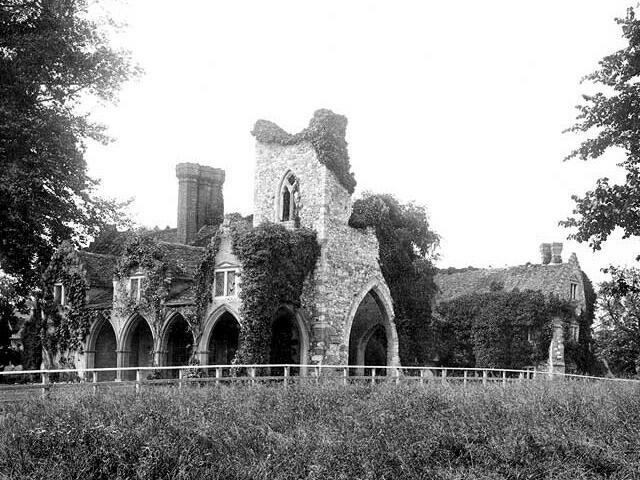 In the eighteenth century it had been the venue for some of the more outrageous antics of Sir Francis Dashwood’s Hellfire Club (see Hellfire Club). Ladbroke’s in the period that Bendir was in charge was a very different creature to the high street and on-line organisation we know today. The laws around betting were both very strict (and somewhat arcane) until 1960. Off-course betting was basically illegal but if you had a bank account and membership you could place bets by telephone. In essence, this meant that the well-to-do could gamble legally, while the man and woman in the street were reliant on illegal street bookies. Arthur Bendir devoted his attention to the Gentleman’s clubs of Mayfair and the West End. It is said that he drew his clients exclusively from the pages of Debrett’s. This is a slight exaggeration,Ladbroke’s had a very successful on-course presence, but it is substantially true. The fact that Ladbroke’s headquarters were in Hanover Square and then Old Burlington Street gives you some idea of the milieu and sought-after image. Up to the Second World War this made Bendir the real king of bookmaking. He added to his fortune by becoming the major investor in the innovative (and very lucrative) Irish Sweepstakes – the National Lottery of its day. His own wealth can be gauged by the fact that the salary he paid his on-course manager, uniquely a woman – the legendary Helen Vernet, £20,000 a year. However, given the English caste-system, wealth and respectability were not the same thing. 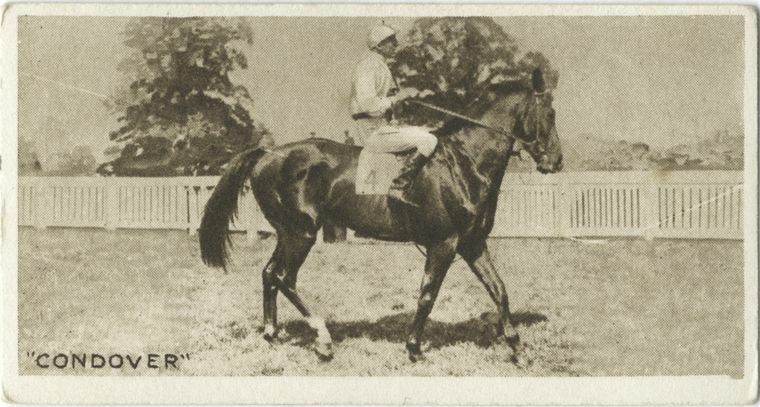 In the inter-war years racecourse gambling meant the Sabinis or the Brummagem Boys ( both of whom, incidentally, had interests in Kate Meyrick’s clubs) – a world of razor gangs and protection rackets. 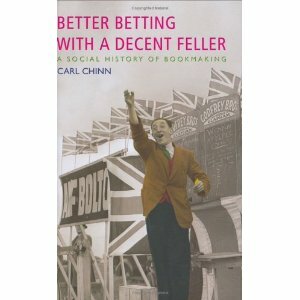 If you want to explore the strange world of pre-1960 betting, Carl Chinn’s book is invaluable. 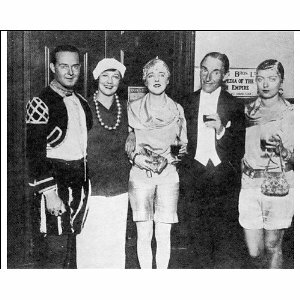 Whether Babe was troubled or affected by any of the above is a matter for speculation but she emerges on the London social scene at this time, not yet eighteen but with a definite penchant for everything associated with the hedonism of the Bright Young People. Evelyn Waugh’s 1925 diary entry records her as “quiet, good-natured and pretty and well dressed with round eyes and rather a shiny nose”. 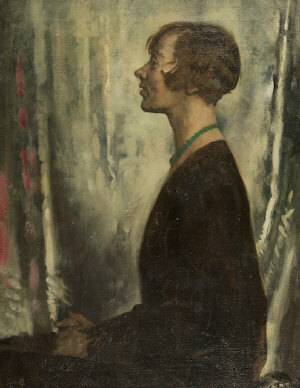 For the next few years she is at the heart of the fast set, hosting two of the era’s most famous parties, constantly seen about town with her friend Elizabeth Ponsonby, marrying the likeable but luckless David Plunket Greene and generally making herself the subject of much gossip and rumour. I will look at this phase of her life in the next post. UPDATE Thanks to GH for spotting this – the birth of one Enid Margot Bendir is registered for November 1907 (London, Marylebone), which seems to settle the matter of parentage. Why she is Babe McGusty in Waugh’s diaries and Marguerite McGusty on her wedding to David Plunket Greene is open to question.